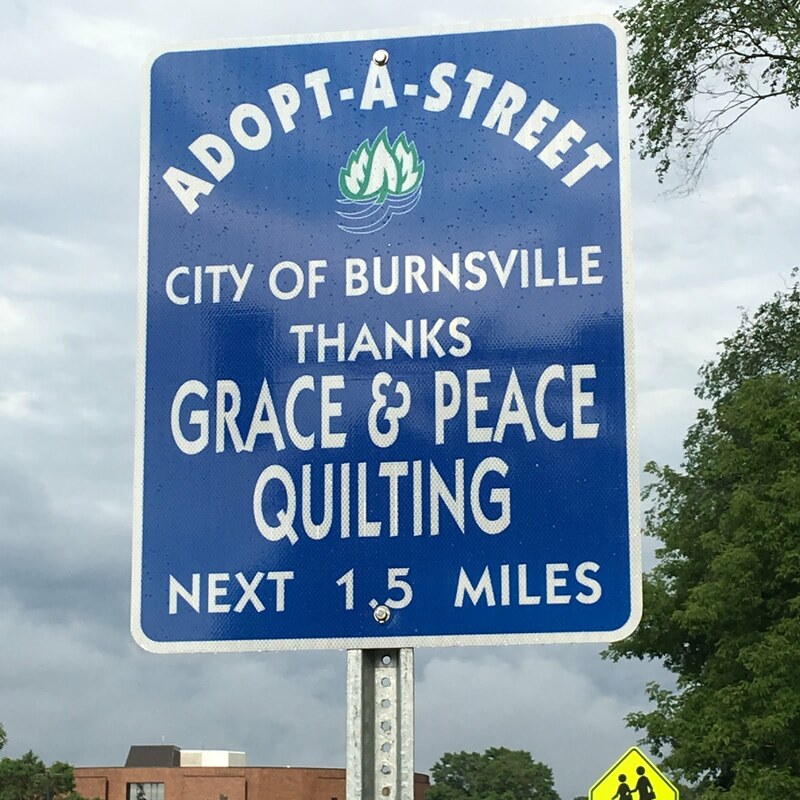 My quilt guild, Dakota County Star Quilters, asked me to do a trunk show this month! 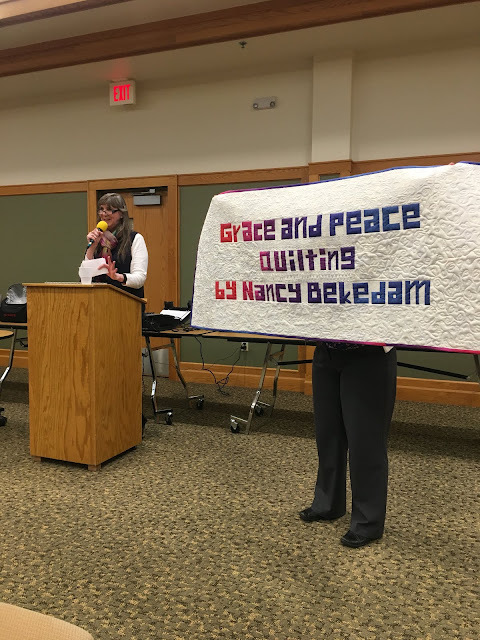 On Tuesday this week, I walked through my quilt journey with 28 representative quilts. The Grandmother's Fan quilt at the bottom of this photo is the first quilt I made, 37 years ago. It's a catalogue of 70's calicos! I made it for my sister to take to college. She did, and recently returned it to me for history's sake. She is an avid quilter now, as well. 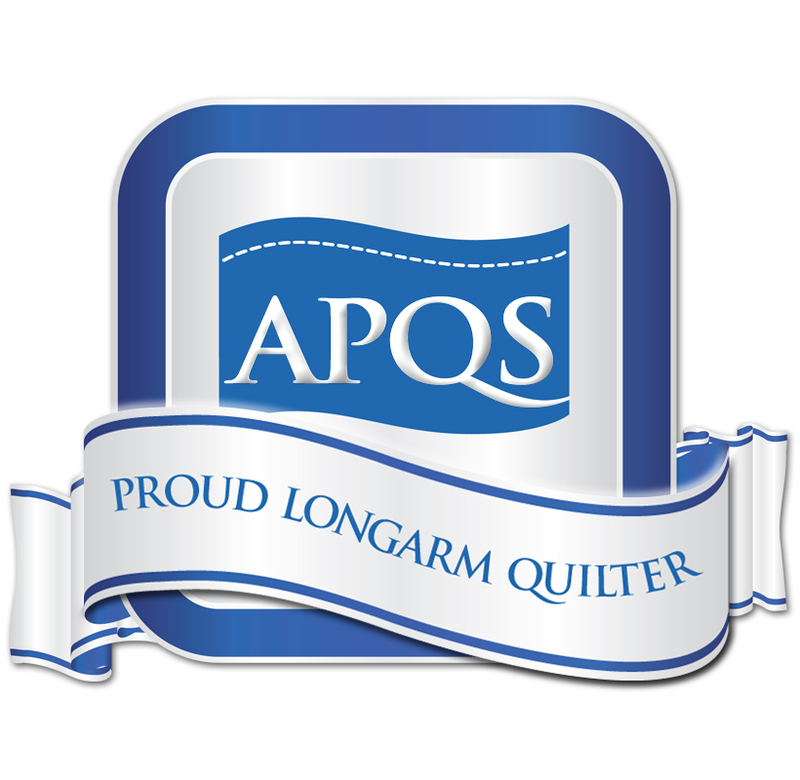 I made this banner with my business name five years ago, shortly after I got my longarm quilting machine. At the time I was a home school teacher. 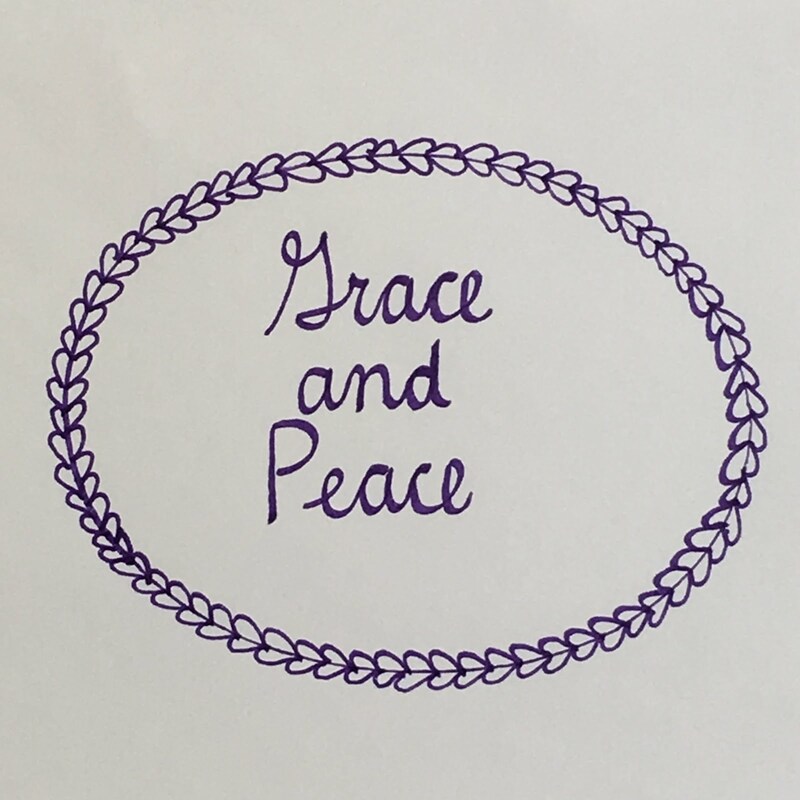 DD2 went on a two week mission trip to Haiti, so I had a two week vacation, and this is what I made! 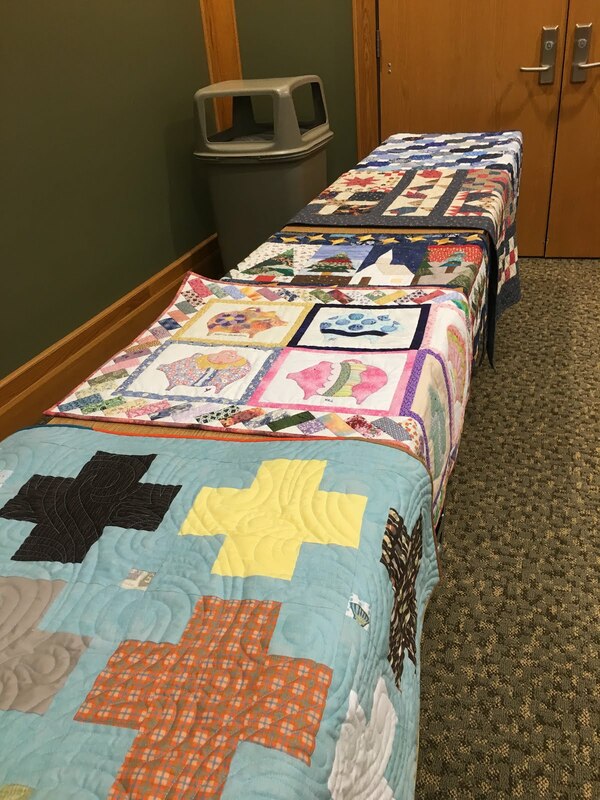 They laid out all my quilts on tables as the talk progressed. This photo has, from top to bottom, a quilt I hand pieced, my first rotary cut quilt, two group quilts that I made as part of the Tama Quilters in Tokyo, and my latest finished quilt--Layer Cake Lattice Plus quilt. 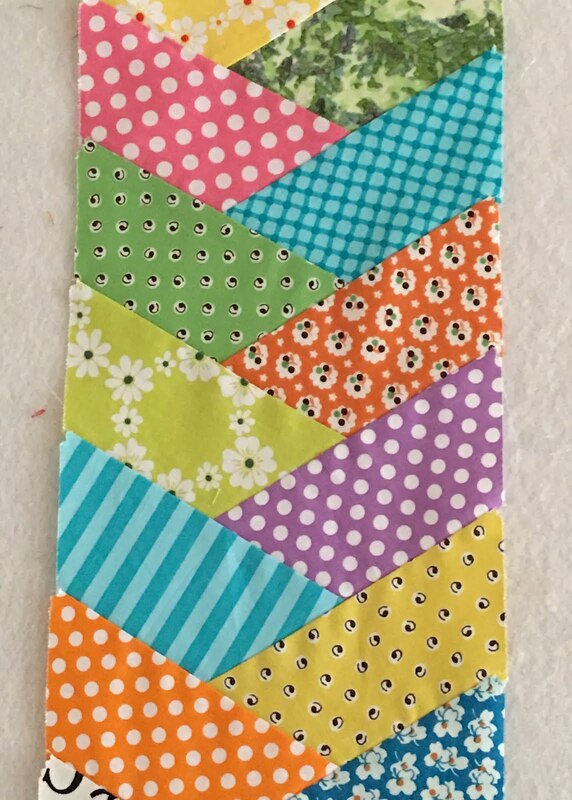 In my quilt studio this week, our guild has a "Think Spring" challenge and I am making a Spring tablerunner. We just got this book in at Quilt Cove. It has projects that use "charm squares"--5" squares of a variety of fabrics. The pattern I'm basing my tablerunner off of is "Hexagon Braid" by Jenny Doan. Here's my first braid! It finishes at about 6 feet--I like my tablerunners long! 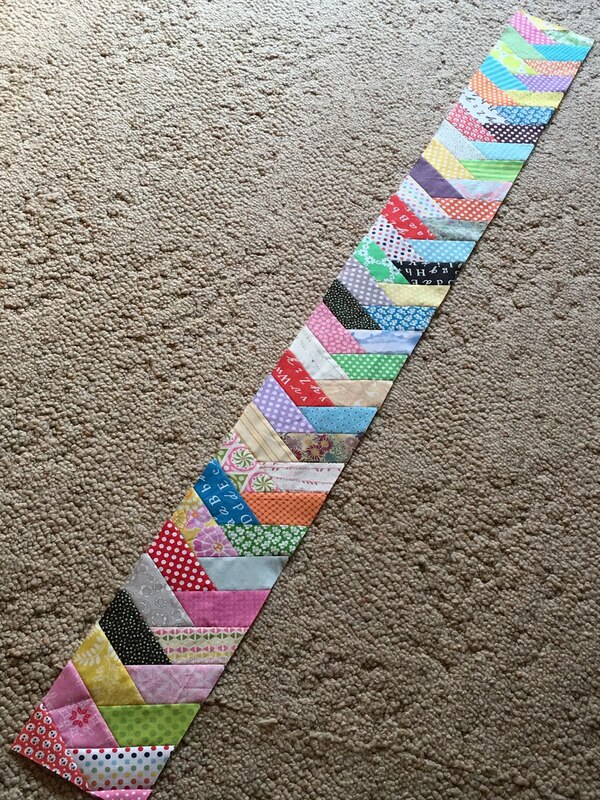 I'll make another braid and then sash and border it. 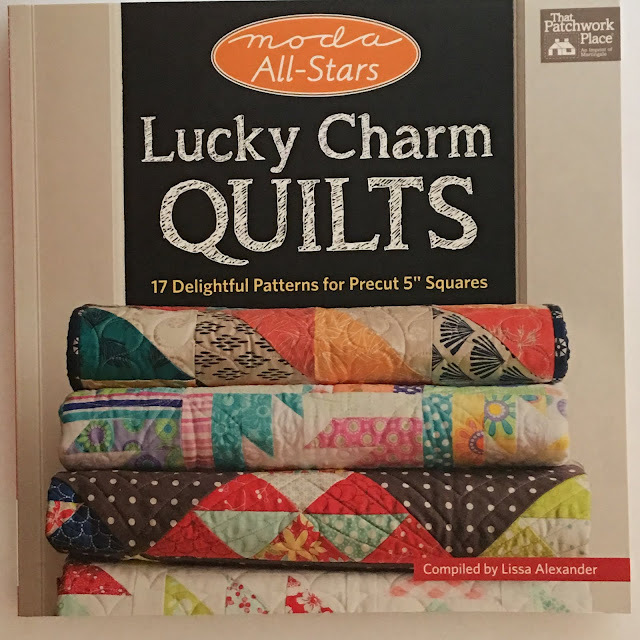 Linking to Busy Hands Quilts, Celtic Thistle Stitches, Crazy Mom Quilts, Confessions of a Fabric Addict, Love Laugh Quilt, MCM @ Cooking Up Quilts. I bet you had fun reliving those quilts! It was fun to see them all stretched out on tables around the room! 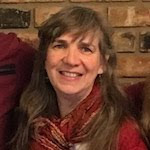 Thank you for stopping by, and for the link! The braid has been fun--I brought the book home and made the first braid the same day! 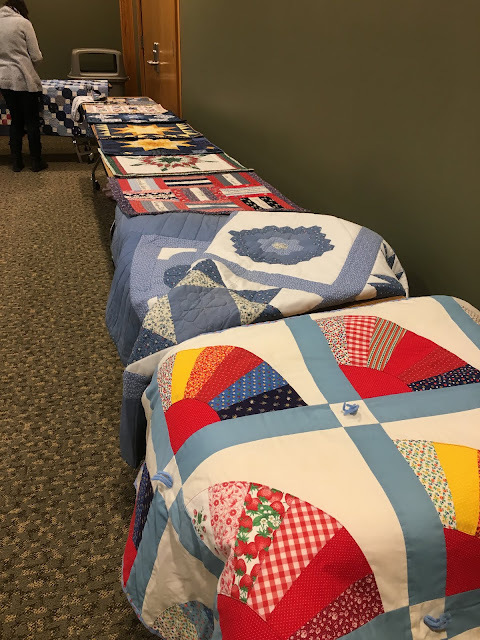 And yes, it was fun to see all my quilts stretched out on the tables. Thanks for stopping by! The Grandmother's Fan for your sister has some interesting fabrics. I recognize several or at least the colors. Do you think that everyone who began quilting before 1990 made a Grandmother's Fan? 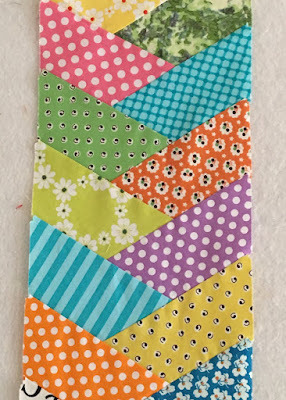 Sometimes I look through my quilts and am surprised at the fabrics and colors I used. Of course, some of those are simply all that was available at the time. It's comforting to handle them and remember their stories, don't you find? Congratulations - it must have been quite a thrill to speak and show your quilts to your quilting group. 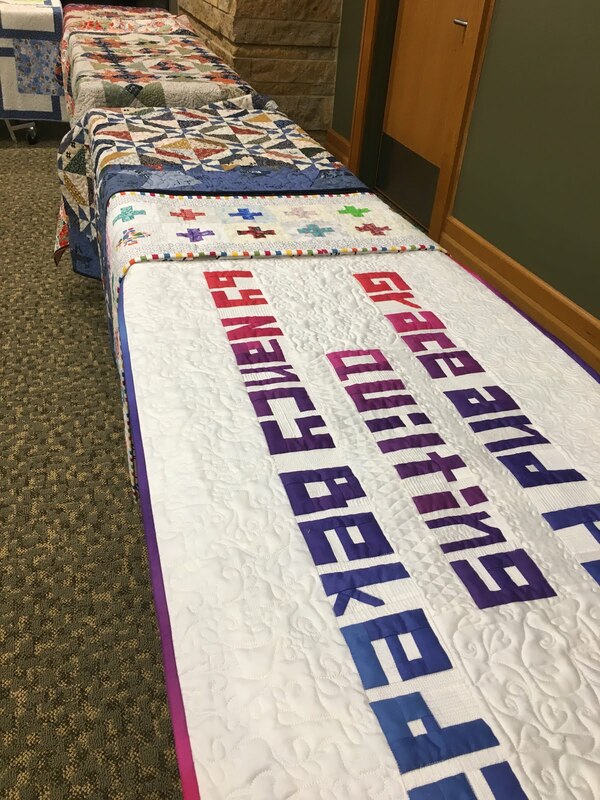 How exciting to relive the making of all those quilts! I've always liked the braid look, and I think the table runner is so pretty. Sounds like you had a wonderful day! Thanks for linking up to MCM.